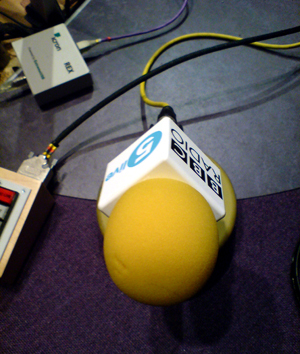 A quick post: I was asked to be a guest on BBC Radio 5 Live last week – a really fun experience this time round (much better than last time,with the CPC podcast having made me feel more confident about speaking on air). If you fancy a listen, have a look at my work blog, where I’ve posted an MP3 of the show. This entry was posted in Custom PC and Bit-Tech, In My Life. Bookmark the permalink. Really enjoyed the radio Alex, good work!